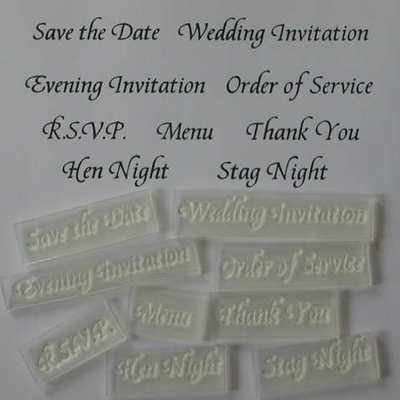 A set of 9 stamps for making Wedding Stationery. 'Save the Date' - 'Wedding Invitation' - 'Evening Invitation' - 'R.S.V.P.' - 'Order of Service' - 'Menu' - 'Thank You' - 'Stag Night' - 'Hen Night'. 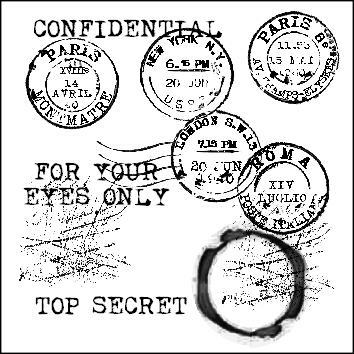 The stamped area of these are approx 1cm high and vary in width from 2cm to 6.5cm. Favour tag stamps, 'Thank you for sharing this Special Day' or 'With the compliments of the Bride and Groom' could also be useful. Personalised favour tag also available for the perfect finishing touch, £5.